Bethard – Christmas Quest 2017 / Day 6! Play for festive treats and big cash prizes! Join the Quest for daily rewards and race for prizes of up to €10,000 in cash! 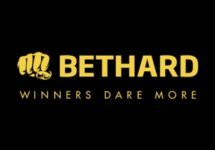 The second week of the Christmas campaign at Bethard is well underway, taking players every day on a new quest for festive casino and sports betting treats. Solve the daily quiz to be faced with three daily challenges that will be rewarded with extra prizes. Double every reward in the daily challenges by answering the quiz question correctly. On top, all players will race in a 38-day long marathon all the way to New Year’s Eve for a share of €50,000 in cash. Exclusive for our readers from Austria, Canada, Finland, Germany, Norway, Sweden and Switzerland. Take part in this superb Christmas Quest campaign at Bethard running all the way until New Year’s Eve. The quest is divided into three separate parts. First, players have to solve a daily quiz to be presented with three challenges. Completing this second part will bag players a reward for each challenge, which is doubled if the daily quiz has been answered correctly. Part three is a 38-day marathon wager race where the TOP200 will share €50,000 in cash. The Christmas Quest Rewards are Cash Boosters, Free Spins, Win Spins, Free Bets, Deposit Bonuses and more. Only real money game play will qualify for any of the daily offers, wagering with bonus money or Free Spin winnings are not eligible. The offers are available for the selected countries only. Rewards are instantly credited on most days, check the daily challenges for more details. Terms and conditions apply. All eligible players can answer a daily question to be presented with three challenges, irrespective if they answer it correctly. Completing each challenge will unlock a festive reward which is doubled when the quiz was answered correctly. Winnings from Free Spins are wager free. Wagering requirements apply to cashback and wager bonuses. 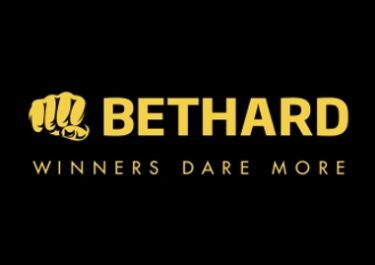 Bethard Bonus terms and conditions apply, read them carefully. Daily Quiz Question: Where will be the 2018 Winter Olympics be held?